When you're going to Rome, come hungry. Photos, clockwise from left, courtesy of Etabli, Antica Pesa, Grano, and Sant'Eustachio. When New Yorkers are hungry for Roman food, they head to Maialino in the Gramercy Park Hotel, where chef Nick Anderer serves incredible trattoria fare. When Nick is hungry in Rome, this is where he eats. ROME – During my junior year at Columbia University, I studied art history on the Aventine Hill in Rome. As part of the curriculum, we conducted daily three-hour walking tours/classes throughout the city, where I often found myself distracted by the food. I returned to New York with a newfound appreciation for food culture, such that I began working full-time in restaurants during my senior year. I ultimately landed on the doorstep of Babbo, and after working with Mario Batali for nearly two years, I returned to Italy to apprentice at restaurants in Milan and Rome. Fast forward several years. I began chatting with Danny Meyer about our shared love affair with Rome (he participated in the same art history program years prior), and the idea for Maialino, our Roman-inspired trattoria, was born. 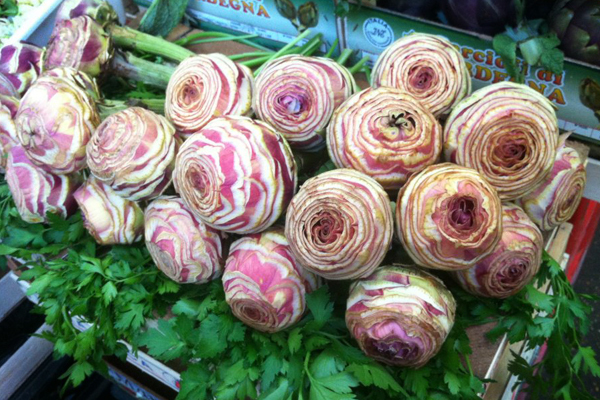 Since the conception of Maialino, I have made nearly half a dozen “research” trips to Rome in order to freshen up on the food scene. These are my favorites. 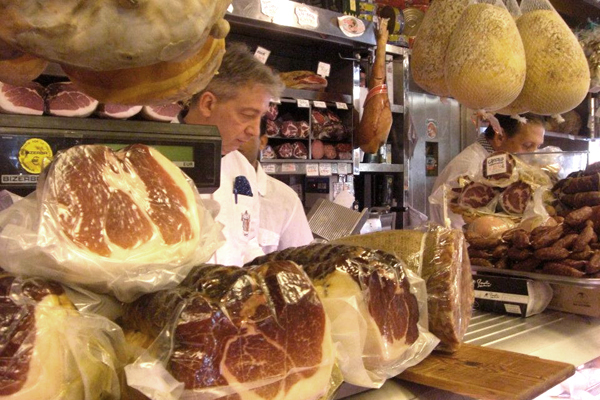 In the center of Rome you have to be careful not to fall for one of the numerous tourist traps with really subpar food — it's very easy to go wrong. These are the reliable spots for food, gelato, coffee, and beyond. A very good seafood restaurant, great for sunny lunches in a beautiful location with stunning outdoor piazza seating. Moscardini fritti and insalata catalana are standouts. Ask for Giorgio (waiter), Roberto (owner), or Lorenzo (owner's son/partner), and tell them chef Nick from NYC sent you. Yes, "cafffe" with three Fs. They can do what they want: They serve a great coffee. So does Caffè Portoghesi on the northwest corner of via della Scrofa and via Portoghesi. Sant'Eustachio near the Pantheon is extremely popular. They have a very short, frothy-style coffee, but I can't deal with the crowds and find something fundamentally wrong about drinking a coffee where no local ever goes. Steps from the Pantheon. Not necessarily for coffee, but the granita di caffe con panna is awesome — great afternoon sweet snack, especially when it's hot out. An upscale wine bar/salumeria/ristorante and a more classic bakery across the street, a few blocks from the Campo de' Fiori market. 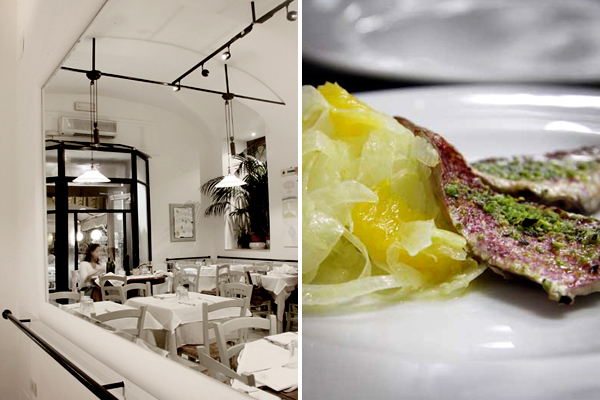 At the restaurant/wine bar, try exceptional salumi and cheeses and very well executed pasta. Reserve in advance, it is extremely popular with tourists and locals. In the Jewish ghetto, a great place to go first thing in the morning. Order a simple slice of pizza bianca or pizzetta rossa ("red"). They are typically eaten at breakfast, fresh from the oven. Just off of via dei Giubbonari and Campo de' Fiori, this little place is known simply for its fried salt cod, as its sign — Filetti di Baccala — suggests. The hours are inconsistent (I believe from noon-2 p.m. and from 6-9 p.m.), but once there, walk straight to the back to order directly from the ladies frying the filets. The batter is a little too thick for my taste, but it's still a great snack on a sunny afternoon or evening. Eat with very cold beer. 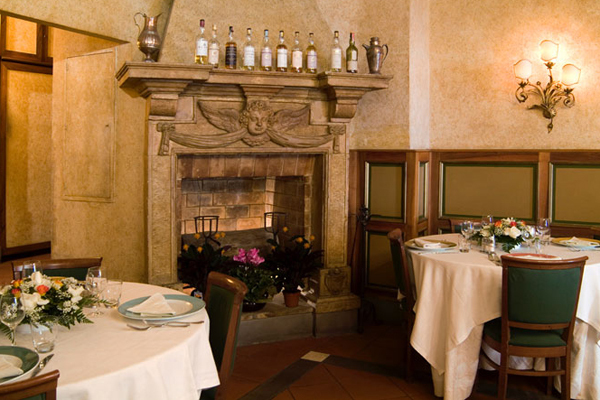 This Jewish ghetto staple is a very elegant old restaurant. Classic foods of the Jewish quarter: artichokes alla romana and alla giudea were both great the last time I was there, as was spaghetti vongole. A decent pizzeria with quirky interior décor. It's not exactly in the center, but rather in a cool residential neighborhood just behind the Colosseum. I liked the pizza with pomodori freshi, rughetta, e mozzarella di bufala. They do modern spins on Roman classics like scarpetta di trippa. And awesome seafood pastas, especially spaghettoni with squid. Just off via Coronari. They have very good gelato — especially all the seasonal fresh fruit flavors made in-house. It has a very cute setting underneath the steps of an old theater. An old (even for Rome) pizzeria/trattoria. A typical neighborhood joint with solid food but nothing spectacular except for white pizza with fresh porcini — when they have it. Everything else is mediocre, but it's the first place I ever ate in Rome, so nostalgia masks many flaws and continually keeps it on my list. A hip and unique (for Rome, anyway) wine bar and lounge with a great mixture of old and new décor and friendly staff. Come for quiet drinks before dinner, a party scene, or a nightcap. They have live music Tuesday, Wednesday, and Thursday evenings. Ask for Massimo or Chico, and tell them chef Nick from NYC sent you. A great, relaxed, rustic-looking wine bar with a few snacky items. The big sign outside reads, Vino e Olio. Great for aperitivi before dinner. This is northwest part of the city across the Tiber River and around the Vatican. A bit of a trek, but you can easily take the metro to Cipro. 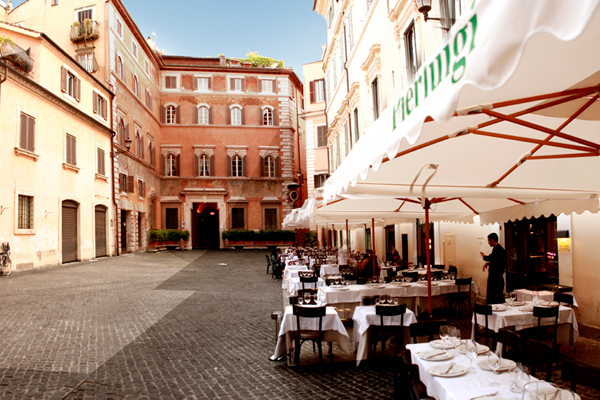 Grab a meal before a trip to the Vatican Museum (the museum exits on the opposite end of the city walls). Order pizza al taglio (by the slice) made by Gabriele Bonci — one of the city's figurehead pizza makers. Great dough, very fresh toppings. If you're headed to this area, you'd be crazy not to stop by Gabriele's Panificio, where he bakes breads, pastries, and all sorts of goodies. Also, the porchetta is not to be missed. Truly outstanding. 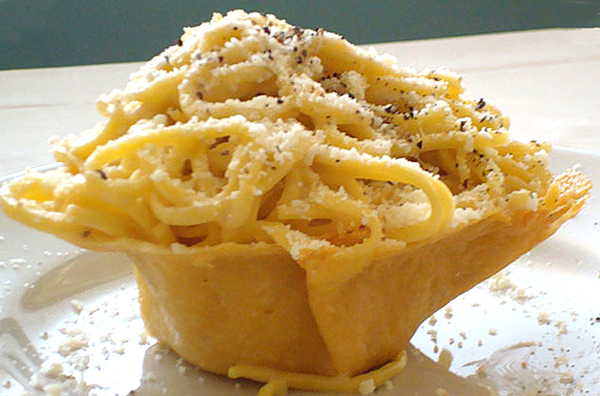 Located in a beautiful square, with good cacio e pepe — if you can get past the slightly weird plating of the pasta in a Parmesan cup. 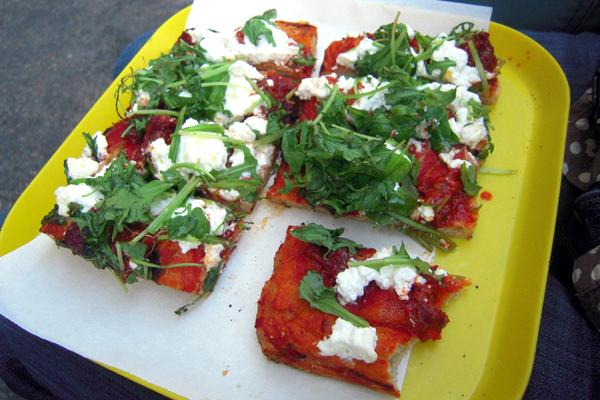 The spot for mid-day pizza rustica and square-cut street pizza. 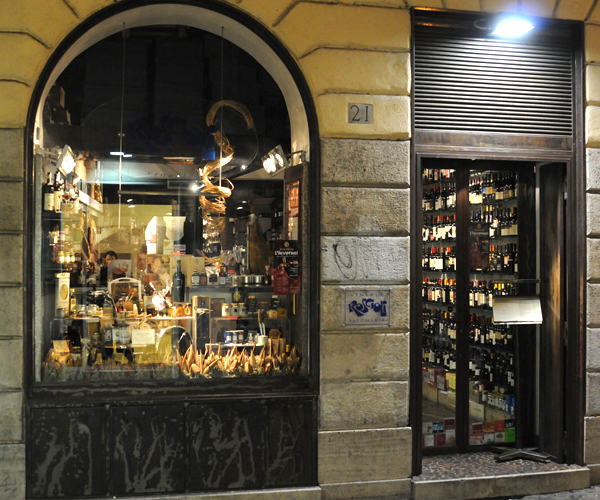 There are two entrances: on via del Moro and via Renella. Every native Roman calls this place L'Obitorio ("the morgue") for the large marble table where they make the pizza: It looks like a coffin/sarcophagus. The burning inferno in the background only add to the look. They're always super busy, serving thin-crust-style pizza as well as decent non-pizza pizzeria fare like fagioli con le cotiche (beans cooked with prosciutto skin). The pizza with rughetta, bresaola, and Parmesan was good, but maybe not worth the wait on the usually long line. A slightly more upscale restaurant for Trastevere. Puntarelle are always good, and the tagliolini con scampi e fiori di zucca is worth the price of admission. Now we're southwest of Trastevere, still on the west side of the Tiber River. A great and inventive pizza concept that is definitely worth the trip — most likely by cab. Round, foccaccia-style pizza is blind baked without sauce or toppings (so the pizza is crispy all around), then topped with unusual condiments list monkfish, urchin, agretti. Very fresh and very tasty. Not a scenic place for long walks, though there are many solid places to eat. The food market once located in piazza Testaccio has moved to a new location in the Mercato Rionale space on via Passino in Garbatella. This is definitely my favorite place for classic Roman fare. It's a must if you've never been to Rome. They make my favorite amatriciana sauce in the city. They do terrific old-style service and quinto quarto-style cooking (offal). Don't miss abbacchio alla cacciatora (baby lamb stew) and apple cake house-made by the chef/owner's sister. 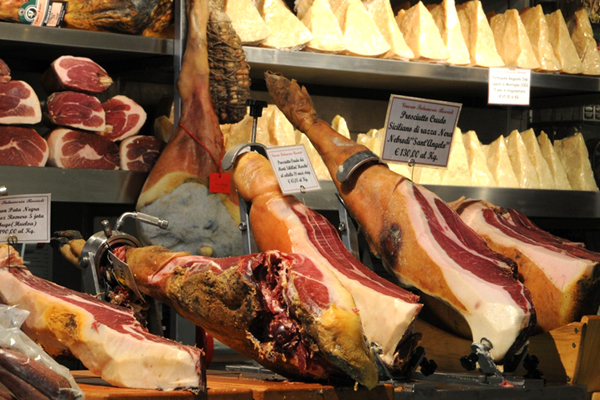 An awesome gastronomia full of local and imported Italian artisan products. The younger sibling cafeteria Volpetti Più around the corner serves good prepared foods, the best of which is pizza con patate (potatoes). 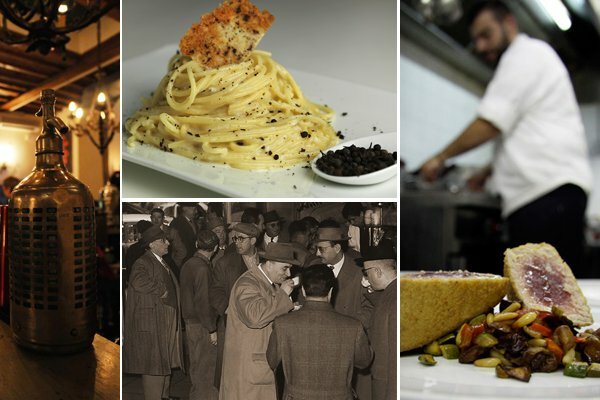 Great trattoria that does all the Roman classics well. Abbacchio al forno (roast baby lamb) is the best, and they are also known for tonnarelli a cacio e pepe. Great pizza al taglio spot that's open all day. Stefano Callegari, the owner and chef, invented trapizzino, a triangular pizza pocket sandwich. It sounds silly, but they're amazing. With different fillings every day. Say hi to Stefano or to his cook Robertino, the main man in the kitchen. If you're digging Stefano's stuff here, you should check out Tonda, a sit-down pizzeria that makes an inventive cacio e pepe pizza in a wood-burning oven. Very local. A little run down, but very good thin-crust Roman pizza that hits the spot late at night with a beer. If you've got time, take a morning or afternoon cruise through Aventine Hill, a beautiful residential neighborhood just north of Testaccio. Definitely stop at the orange groves behind Santa Sabina for great views of the city. Sounds crazy, but this is one of my favorite Chinese restaurants. Not just in Rome, but anywhere. Very clean flavors, and I have never had a bad meal. Sometimes you need a break from pizza and pasta. Just saying. I would definitely reserve for dinner, but you can easily walk in for lunch. Great gelato and interesting flavors. I loved toasted sunflower seed the last time I visited. 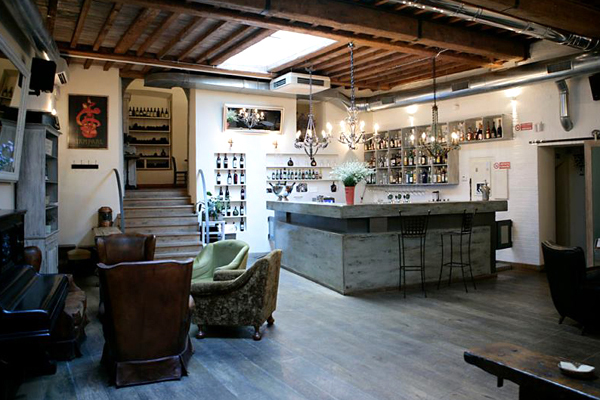 It's right down the block from Court Delicati, so make an off-the-beaten-path afternoon of it on Viale Aventino. Buon appetito. When Fulvio Met Nick - A superstar Italian chef takes on Nick's pasta in NYC. 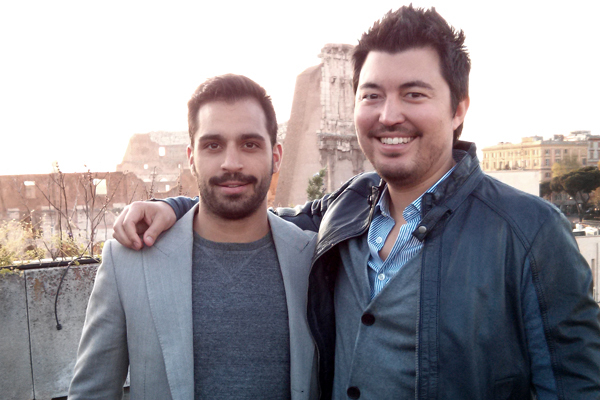 Nick is the executive chef/partner of Maialino, a Roman-inspired Trattoria in Gramercy Park, New York City. You can follow @nickanderer on Instagram and Twitter. He travels for art history, tropical surf spots, dog-friendly excursions, and any excuse to write off a food research trip.